The Twiga FLEX series offers a working range of 155º, in combination with the Rotor Flex optimum conditions for the driver as the cutter is always within the drivers field of vision. 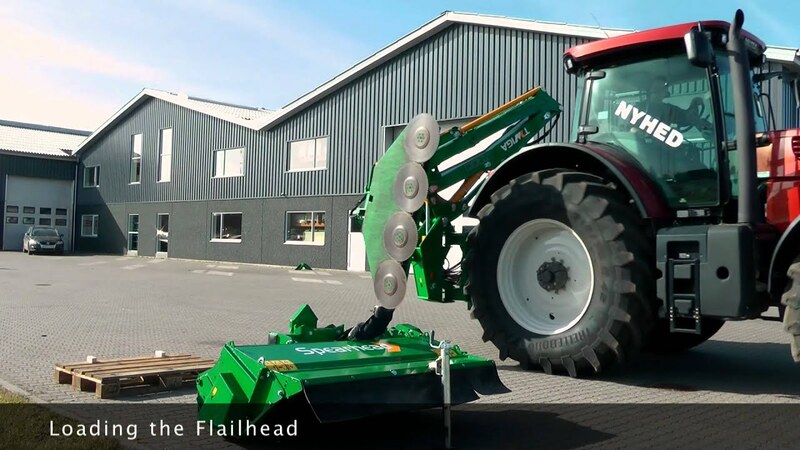 Many different tools can be attached to Twiga FLEX which enables it to mow grass and trim hedges. Furthermore, Twiga Flex has a long vertical and horizontal reach, so you can mow grass in verges and cut branches high up in the trees. The series comes in 3 variations: rear, front and revers mounted in three point linkage. Optimal view, best traffic-safety, super terms for the driver. Hortizontal reaches from 6.3 to 8.9 m.
The construction of Twiga FLEX is based on a modular construction. The construction gives a lot of opportunities and any customer requirements will be fulfilled. The goals for the development of the Twiga FLEX series were clear: Perfect work, long service life, low maintenance charges and most important: Optimal working condition for the driver. PTO, 220 l hydraulic oil and cabin protection. The series is available in three variations: rear mount, frount mount and reverse drive. Optimum conditions for the driver as the cutter is always within the driver's field of vision.